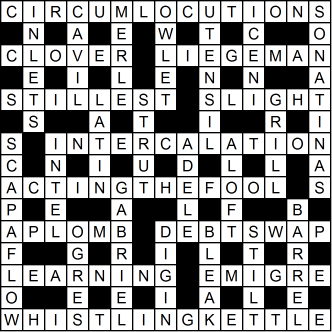 The wordplays of 25 clues (including 18D) obey the instruction heard in 18D. Definitions are unchanged. Copyright © 2016 Rupert Morrish. rupert@morrish.org. Web page created by Crossword Compiler.